As an activist, Holly spent a decade directing training initiatives for social change leaders; first with Central American activists through the Washington Office on Latin America, and later with human rights advocates in an intensive sabbatical program at Columbia University. She discovered her passion for channeling and leveraging resources for grassroots organizing while teaching a course in fundraising at Columbia that paired human rights activists with graduate students that helped raise several million dollars from foundations. She found a true home for this passion when she joined GSF in 2005. Holly co-manages the Building Voice and Power program. 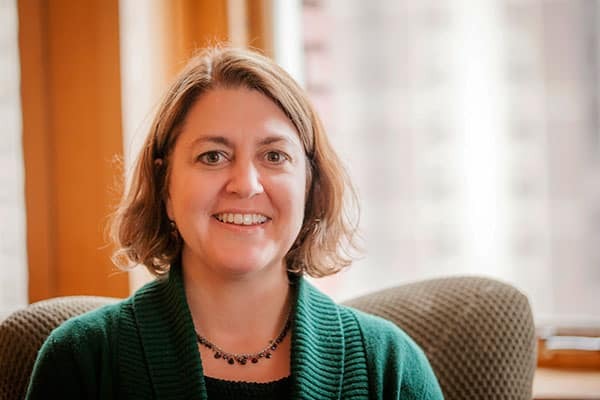 Holly’s responsibilities include support for organizations working at the intersection of racial and gender justice, including reproductive and economic justice organizations, as part of a portfolio that is cross issue and includes long time GSF grantees. She is also responsible for GSF investments in leadership development. She holds a Master’s Degree in Human Rights and Economic Development from Columbia University and a Bachelor’s Degree in International Relations from Stanford University. Holly and her family love living in the Bay Area and hightail it to the beach any chance they get.